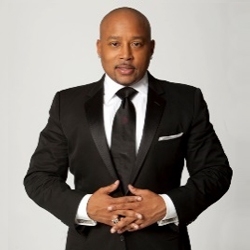 STORE Capital is proud to announce Shark Tank star and FUBU CEO/Founder Daymond John as the keynote speaker for our 2018 Inside Track Forum to be held in Scottsdale, Arizona, January 30 – February 1, 2018. Resolved to expand his own brand, Daymond has written three books, the most recent of which debuted at number 2 on the New York Times Best-Seller list in January of 2016 and recently won the 2017 NAACP Image Award for “Outstanding Literary Work – Instructional.” The wildly successful release, The Power of Broke (Crown Publishing) takes an in depth look at how successful entrepreneurs who started from broke were forced to think more creatively and to leverage their resources more efficiently than their counterparts. While his previous books, Display of Power and The Brand Within were national best-sellers, The Power of Broke stands as the only New York Times best-selling book from any of the Sharks. Daymond’s newest book, Rise and Grind: Outperform, Outwork, and Outhustle Your Way to a More Successful and Rewarding Life, is due out in January 2018.